We are a leading Manufacturer of rotary drum roaster machine, drum mixture, screw conveyor machine, vacuum filling machine, manual nitrogen flashing machine and coating pan from Noida, India. 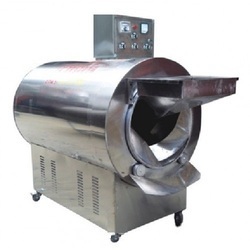 We are consistently offering Rotary Drum Roaster Machine, which is provided to the clients in several specifications. Owing to our in-depth domain expertise, we are providing a qualitative range of Drum Mixture that is used for mixing spices in the chips. Manufactured as per industry norms using quality approved components and the latest technology under the guidance of our proficient professionals, our offered mixture is available in varied specifications. The offered mixture is tested on varied quality parameters so as to maintain its flawlessness. 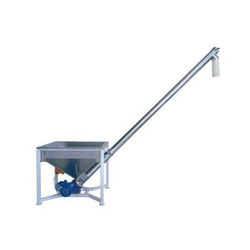 To meet diverse requirements of our prestigious clients, we are engaged in providing an excellent range of Screw Conveyor Machine that is used for transferring items from one machine to another. Only superior quality components and modern technology are used while manufacture this conveyor machine. Apart from this, provided conveyor machine is offered in variegated specifications and designs so as to cater the needs of our clients. 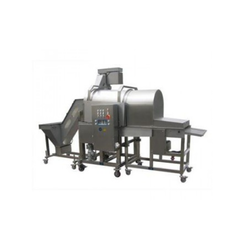 We offer this conveyor machine to our customers at affordable prices. From our wide collection of products, we offer premium quality Vacuum Filling Machine that is used to fill liquid in pouches. The offered filling machine is manufactured using the best quality components and sophisticated technology under the guidance of proficient professionals. 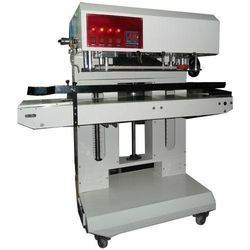 We offer this filling machine in diversified sizes and designs for our customers to choose from. 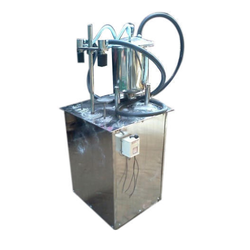 Moreover, provided filling machine is stringently tested by our quality examiners on various parameters. Being one of the reputed organizations, operating in this domain, we are engaged in offering a quality range of Manual Nitrogen Flashing that is used to pack all type of spices. We only use the best quality components and cutting edge technology while manufacturing this nitrogen flashing. The offered nitrogen flashing is widely praised in the market for its different quality features. Apart from this, customers can avail this nitrogen flashing from us at market leading prices. We manufacture and exporter of rotary drum nut roaster, stainless steel drum coffee roaster, chestnut roaster, continuous roaster, rotary roaster, rotating roaster, electric rotary roaster, commercial peanut , floating fish feed pellet machine, soy extruder machine, Vermicelli Extruder, Noodles Extruder, Noodles making Machine, Pasta Extruder, Macaroni Extruder, Fryums Extruder, pellets extruder machine, pasta extruder machine, snack extruder machine, cattle feed machine, pellet making machine, fryums machine manufacture, snack making machines, screw extrusion, food extruder manufacturer, single screw extrusion, snacks making machine, fry type snacks extruder, snacks extrusion machine manufacturer, Kurkure Extruder, Corn Fried Extruder, dough extruder, food processing machines, food processing equipment, kurkure machine manufacturer, extruder machine, extrusion machinery, food processing machines manufacturers, food machine, snacks extruder, corn puff snack extruder, cheese balls puff extruder, puff snack extruder, puff food extruder, corn curls extruder, inflating corn snack extruder, Screw shape corn puff extruder, corn extruder machine, snacks extruder, corn flour snack extruder machine, small snacks extruder, maize extruder, extruders cheese snacks, pasta extruder, food extruder, puffed rice extruder, puff food extruder, rice snacks extruder, rice vermicelli extruder, rice crispy extruder, etc at industry competitive prices. Being pioneers in the industry, we are engaged in offering huge collection of Tray Oven Machine. 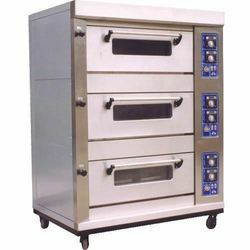 We manufacture and supplier of Tray Oven. 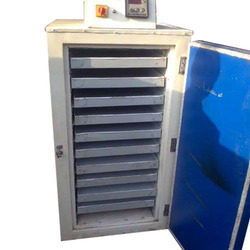 Roasting oven used for drying all kinds of stick, piece, grain etc. With high efficiency fuel saving system, reasonable heat distribution, material be heated equally.